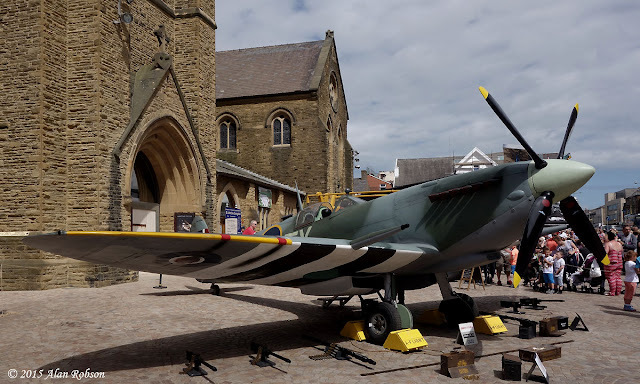 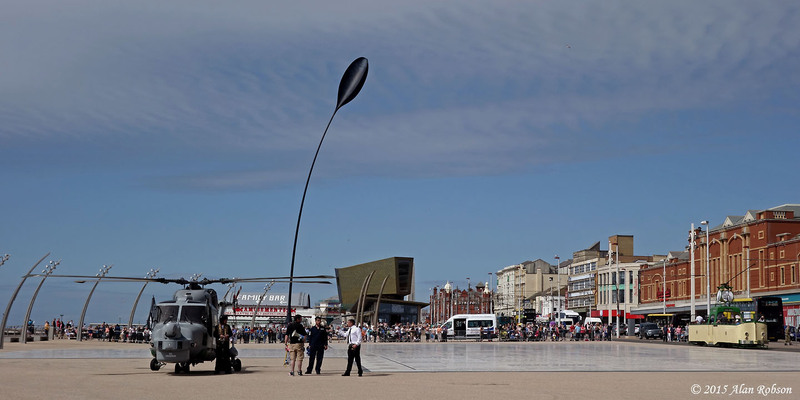 To commemorate Armed Forces Day in Blackpool on Saturday 27th June, a replica Spitfire was on display in St. John's Square and a Royal Navy Lynx helicopter was also on display on the Tower Headland. 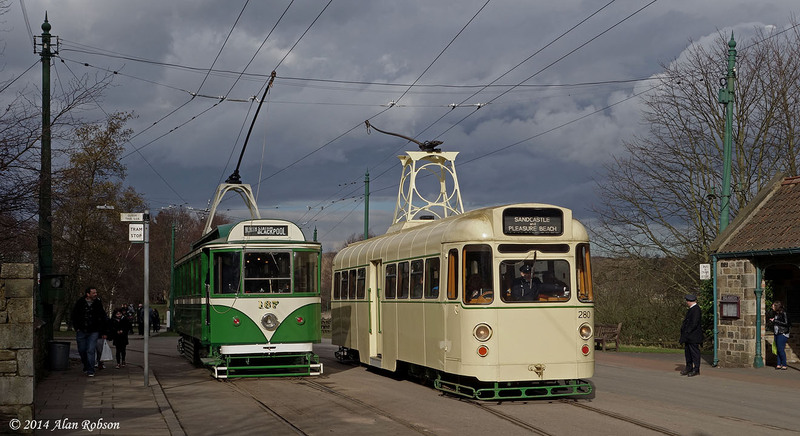 The heritage tram service during the day was handled by Boat cars 230 and 600 due to the pleasant weather. 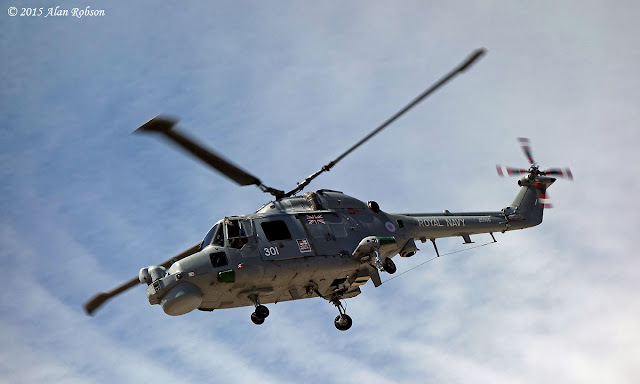 The Royal Navy Westland Lynx on public display next to the Comedy Carpet was ZD566 of 815 Squadron, based at Royal Naval Air Station Yeovilton in Somerset. 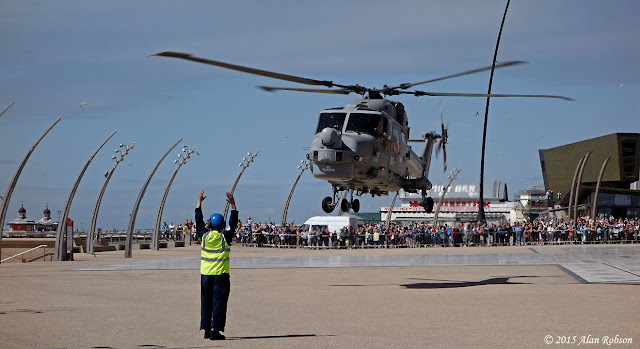 Just before 3.45pm the Lynx took off from the Tower Headland and performed a short aerial display between Central Pier and North Pier before departing. 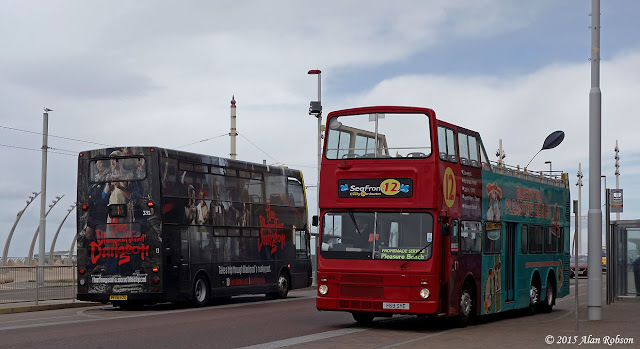 Sunday 21st June was meant to have been the day that the annual Totally Transport event took place on the South Promenade in Blackpool, unfortunately the event had to be cancelled this year due to financial problems. 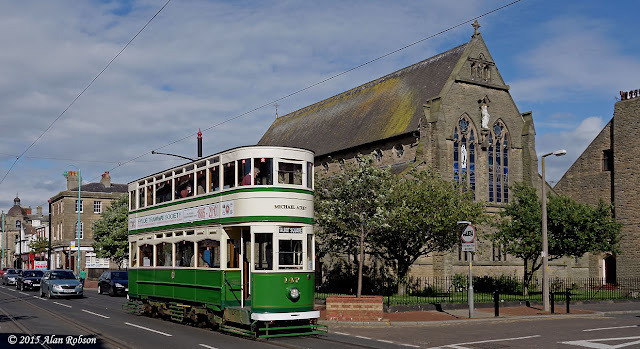 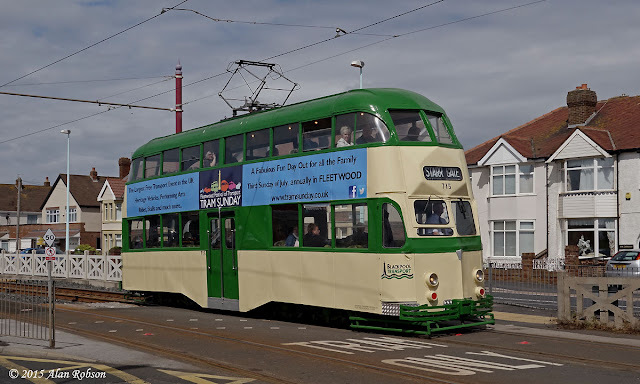 To coincide with the Totally Transport rally, Blackpool Transport had planned a gold timetable Heritage Tram Tour operating day utilising six trams. 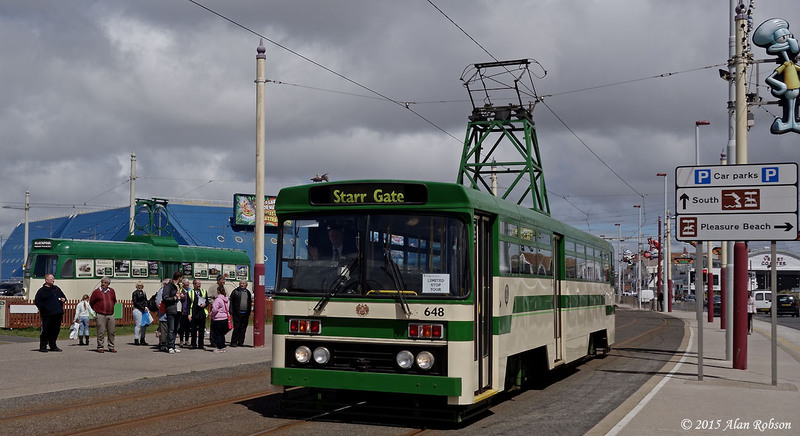 In the event it was decided to go ahead with the enhanced heritage tram service, despite the fact that the transport rally was not taking place. As part of the gold timetabled service, temporary heritage tram stops were located at Starr Gate and also on the main running line at the Pleasure Beach, as the loop was not in use for most of the day. 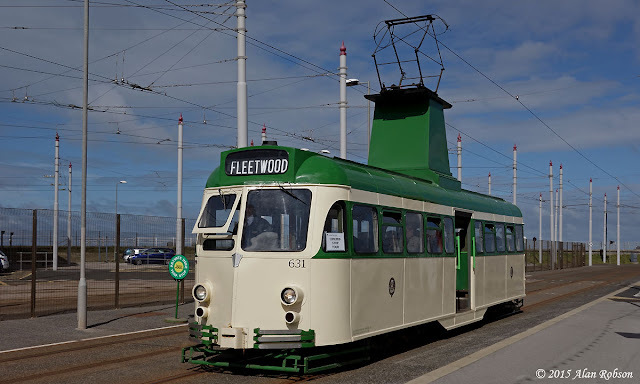 A roughly 20 minute tram service was in operation from the temporary Starr Gate terminus, with frequent journeys running through to Fleetwood Ferry. 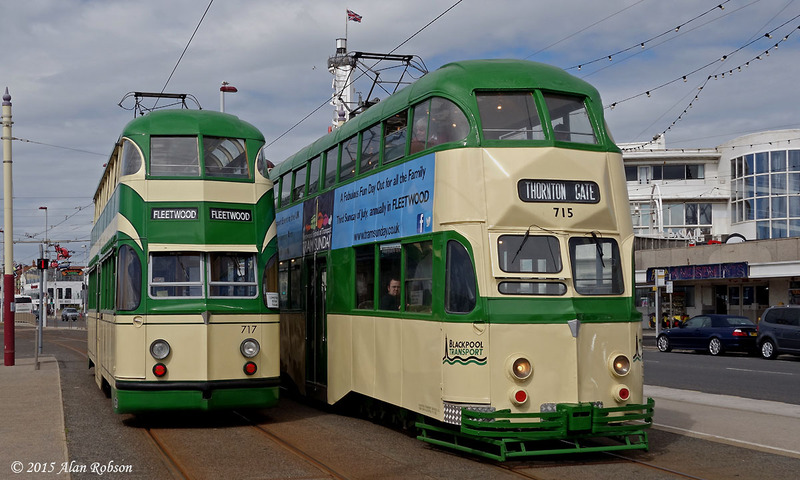 The heritage service was operated by a 100% green and cream tram fleet, using trams 147, 272+T2, 631, 648, 715 & 717. 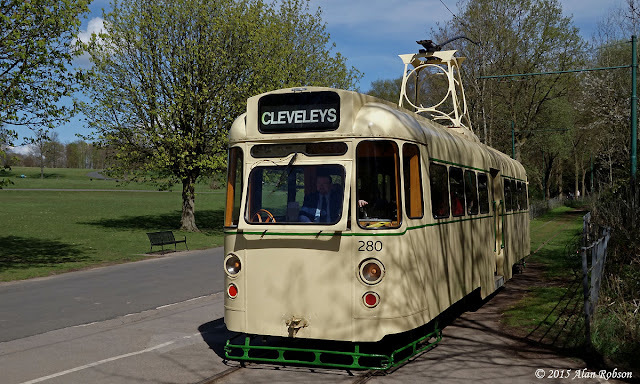 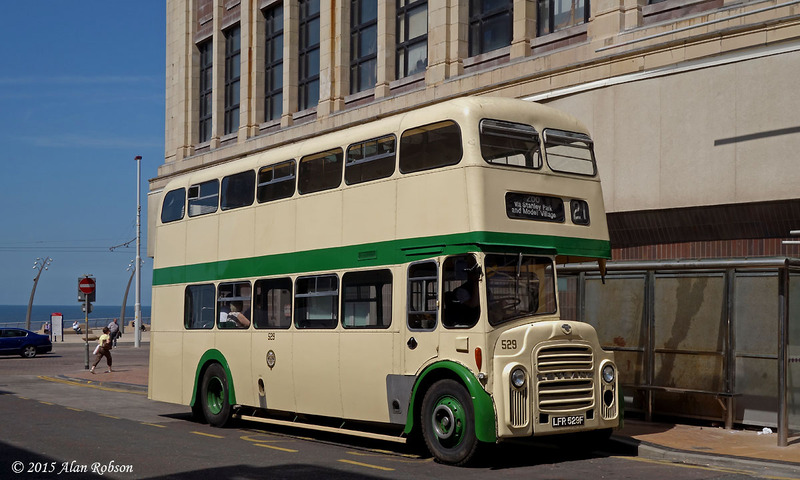 Railcoach 680, which is currently based on the Heaton Park Tramway, is due to return to Blackpool to operate as part of the heritage fleet for an initial loan period of two years. 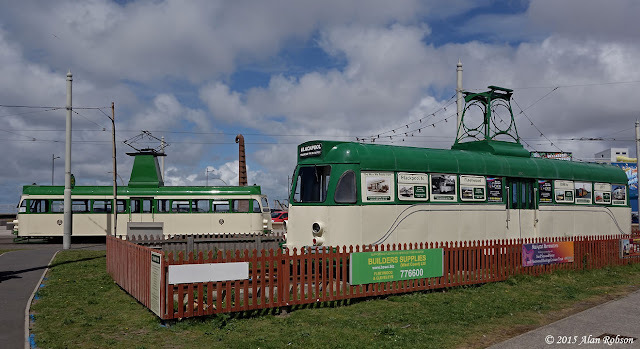 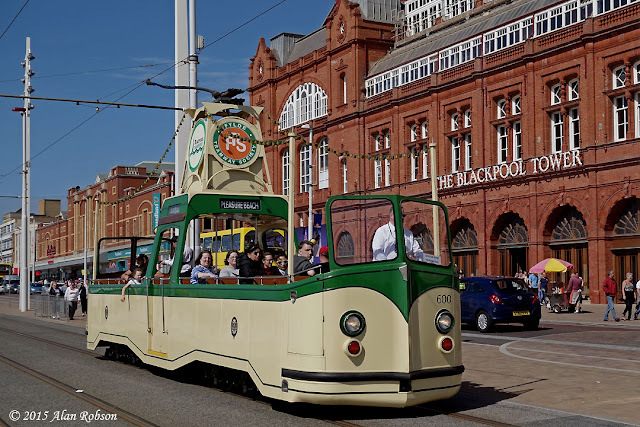 In a deal struck between the Manchester Transport Museum Society and Blackpool Transport, the former trailer towing car will return to Blackpool in time for the tramway's 130th anniversary celebrations in September. 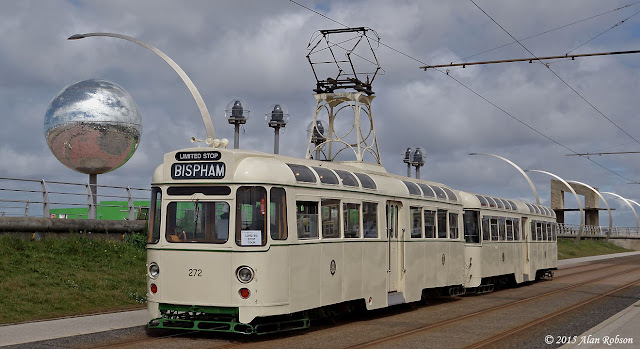 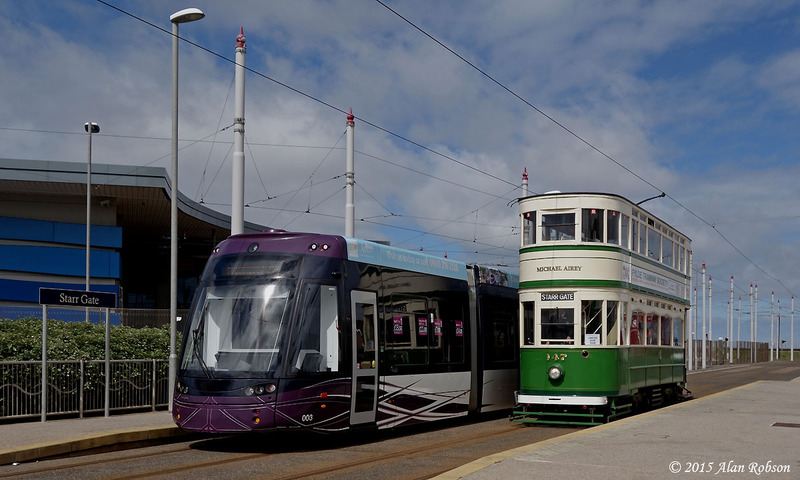 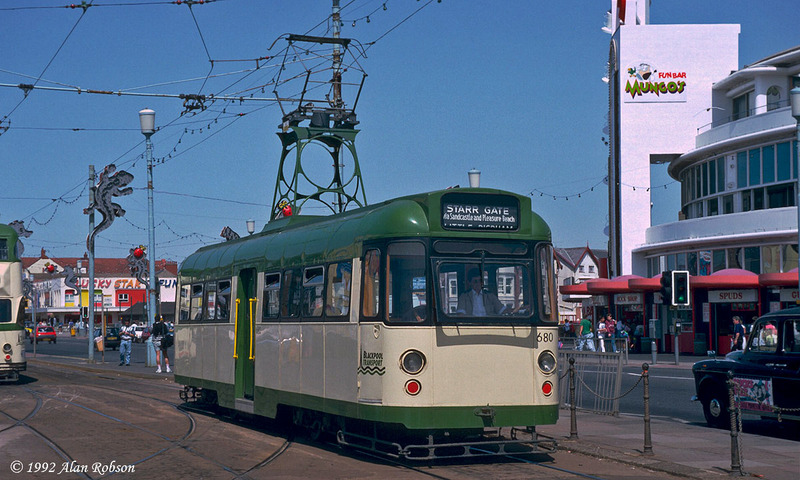 It is planned to repaint 680 back into the 1990s livery of green and cream with black window surrounds, the tram will also will refitted with a pantograph upon its return to Blackpool. 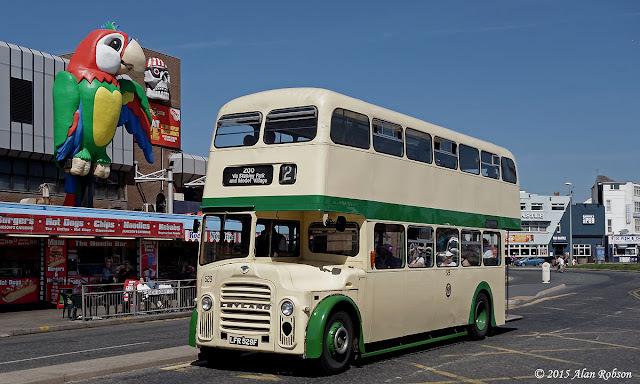 The new service 21 bus route to Blackpool Zoo is fast becoming a very interesting stage carriage route on which to be able to sample a ride on a variety of preserved heritage buses. 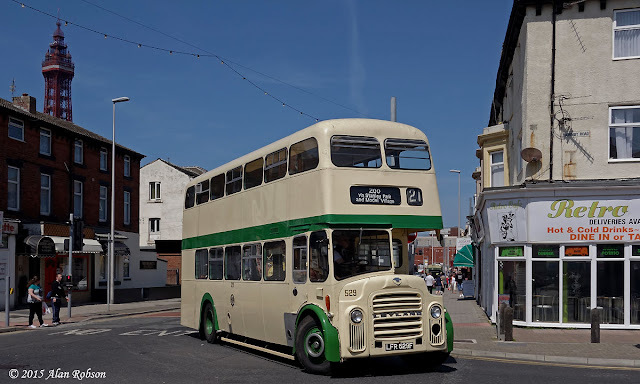 After being operated by a London AEC Routemaster and Ribble Bristol RE, this week has seen former Blackpool Corporation 1968 Leyland Titan PD3 No 529 in use on the service. 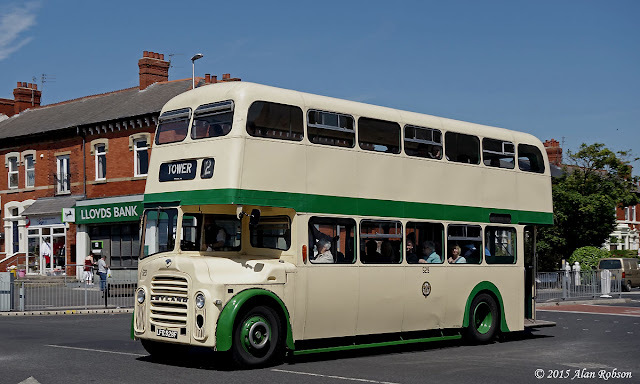 529 is part of the collection of vehicles owned by the Lancastrian Transport Trust, and looked completely at home operating on its old stamping ground again. 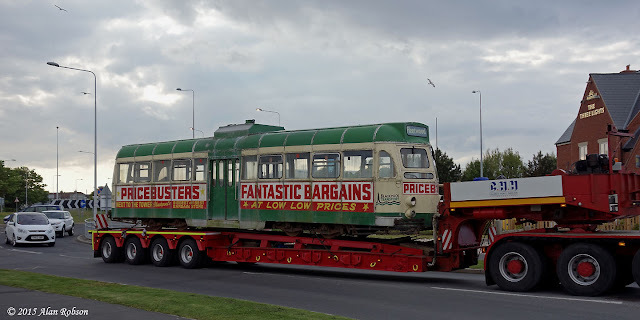 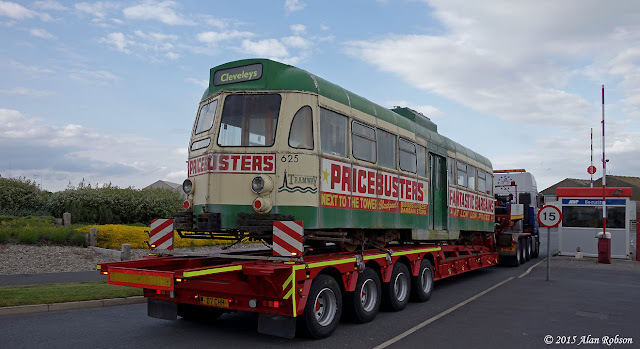 The first of the former Merseytravel owned Blackpool trams that have recently been secured for preservation arrived safely back on the Fylde Coast today. 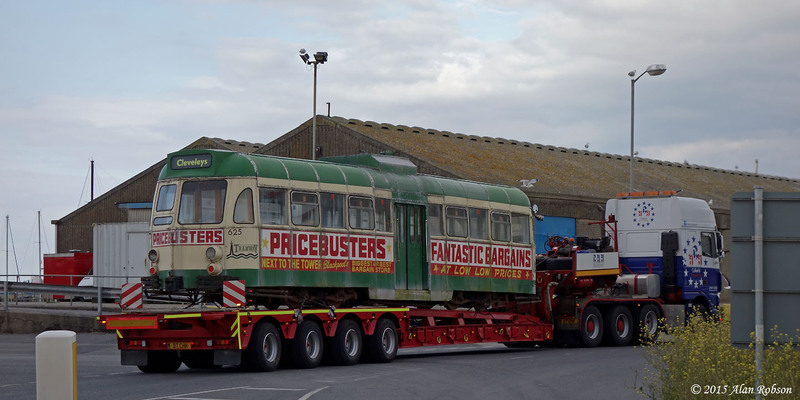 Brush Car 625 was delivered to the fish dock at Fleetwood on the back of a low loader belonging to Calkeld Heavy Haulage, arriving at the fishing port at 1830 on the evening of Monday 8th June. 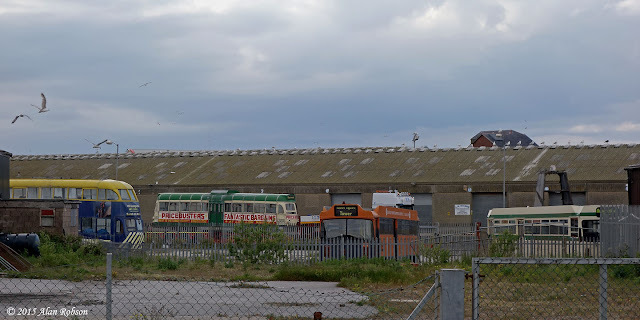 The tram will be stored in the same open compound on the docks that is currently used by the Fleetwood Heritage Leisure Trust. 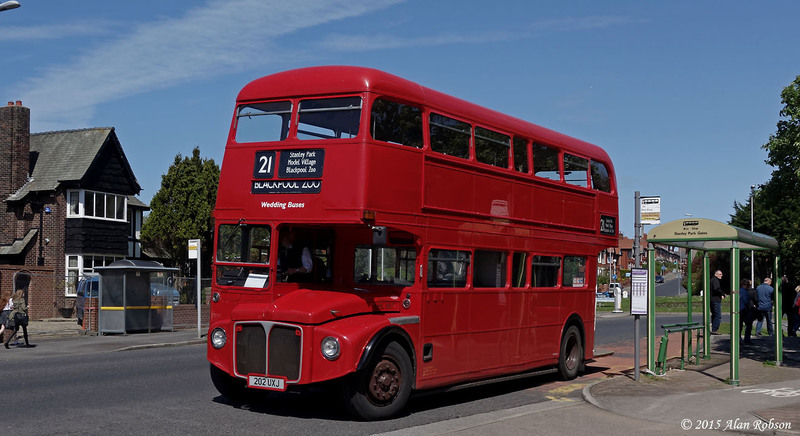 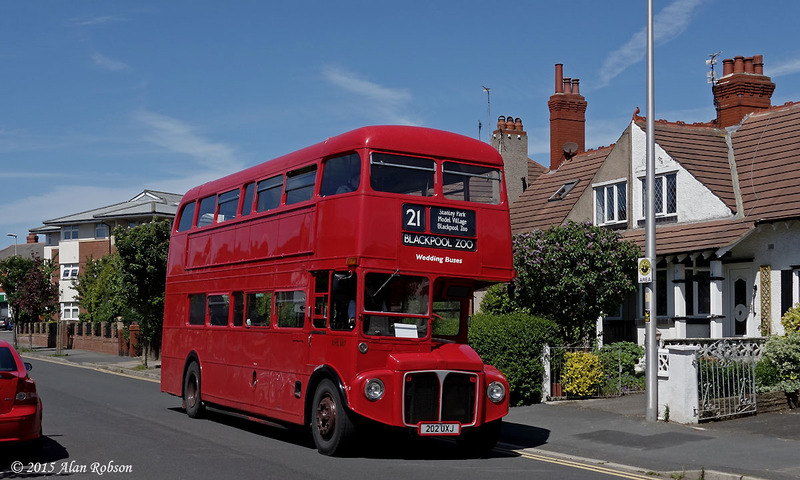 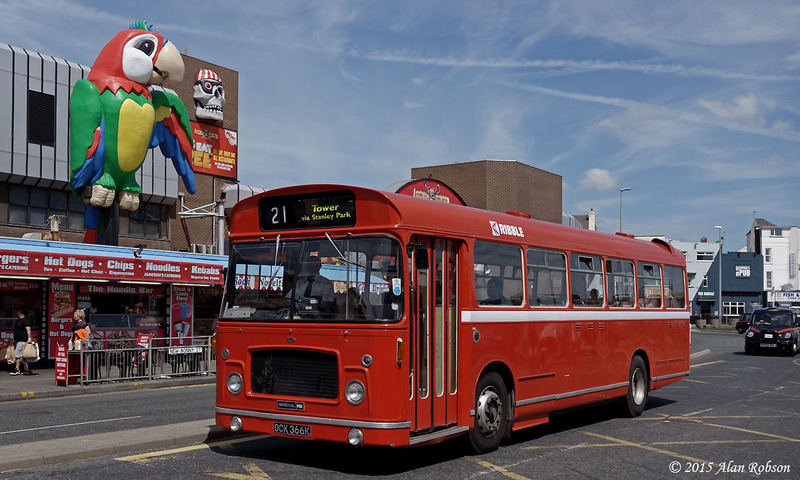 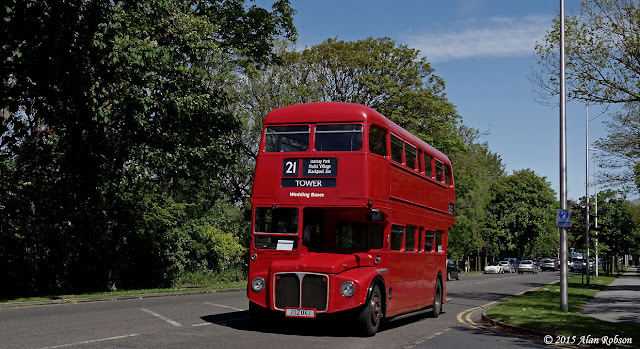 As promised the new Service 21 route to Blackpool Zoo is using heritage vehicles, the first two days of operation saw former London Routemaster RML 887 being used, today it was the turn of an ex Ribble bus to operate the service. 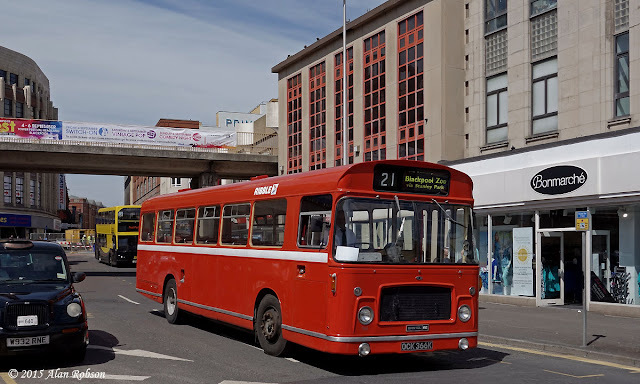 1972 Bristol RESL OCK 366K was new to Ribble Motor Services as fleet number 366 in 1972, the bus has been part of the Lancastrian Transport Trust collection since 2008, and is preserved in poppy red livery. 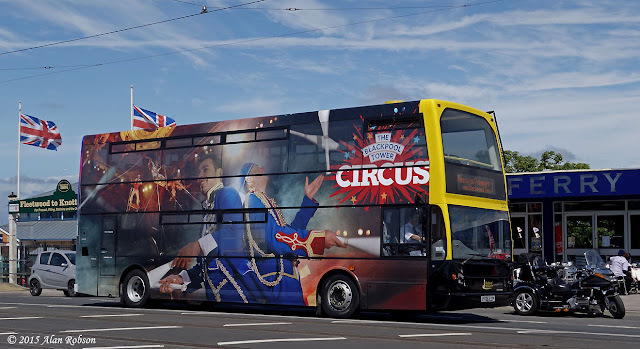 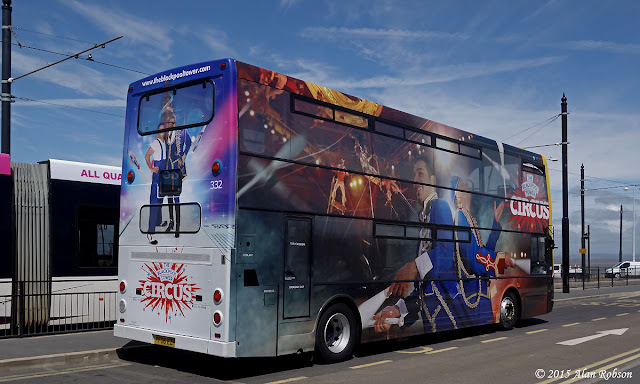 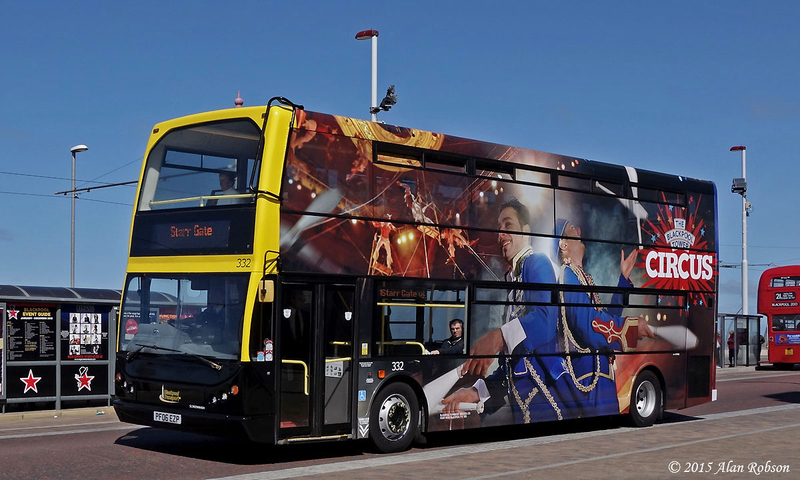 A new overall advert for The Blackpool Tower Circus has appeared on Dennis Trident 332, making this the fifth BTS bus this year to receive overall advertising vinyls. 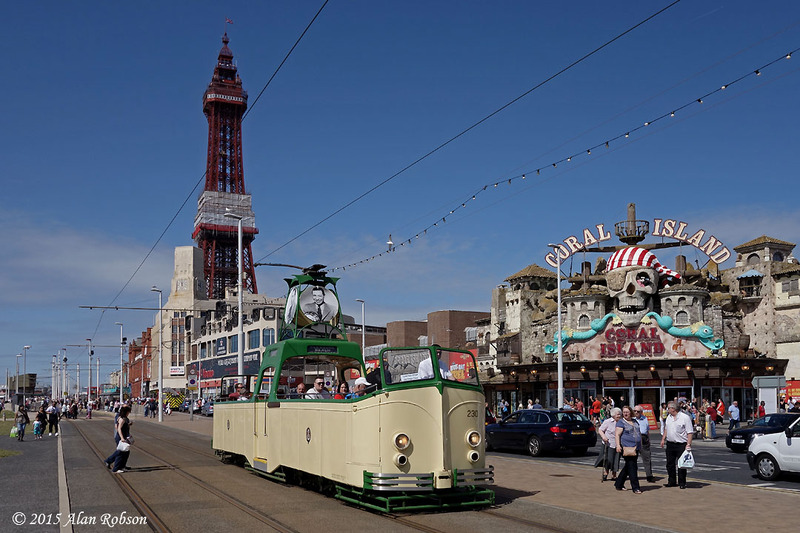 Blackpool Transport's new mini tower wagon was out on the Promenade today. 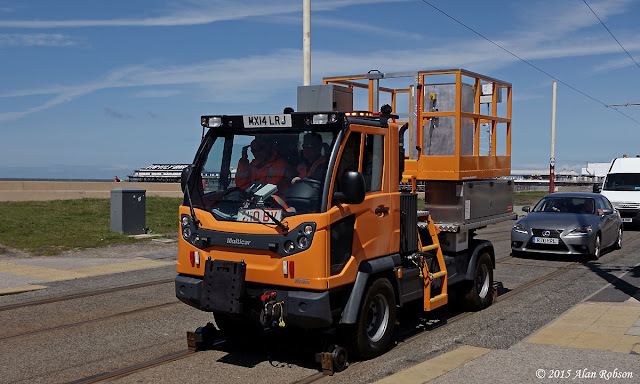 The vehicle is a Hako Multicar M31 H built in Germany, it was being used in rail wheel mode running along the tram track, having to wait behind service trams as they pulled up at stops to load and unload. 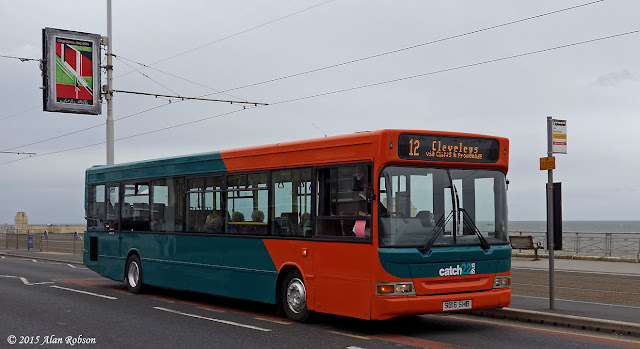 This week saw the start of another new bus route operated by Catch22Bus Ltd, this being the fourth route that they are operating on the Fylde Coast. The new Service 21 operates every 40 minutes between the Tower and Blackpool Zoo, via Stanley Park and the Model Village. The aim is to use heritage vehicles on the new service whenever they are available. The route begins near the Tower at a stop on the Promenade opposite the Sands Venue, then turns inland running via Hornby Road, West Park Drive and East Park Drive to the Zoo. 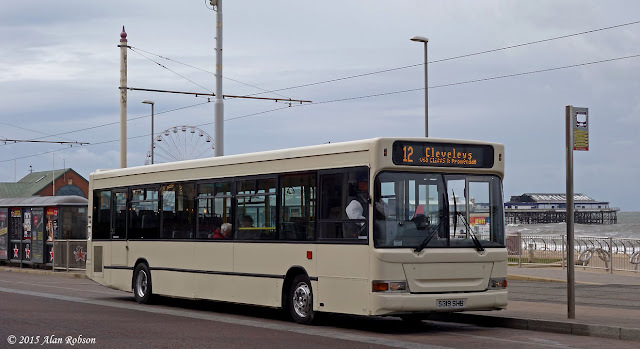 The Seafront 12 service resumed operations on 1st June, and two recently acquired Dennis Darts with 11.3m Super Pointer Dart bodies are now in use on this route. The two buses originated with Cardiff Bus, and their registrations are S316 SHB and S319 SHB, 319 is running in an all cream livery, while 316 has been repainted in the Catch22Bus turquoise and orange fleet livery.